CoreOS announced that it has secured $8 million (around £4.7 million, or AUS$8.5 miillion) in Series A funding and unveiled two new products, Managed Linux and Core Update, one year after the company's Linux distribution of the same name launched. In the company's words, CoreOS is particularly suited for very large, enterprise-focused server deployments, effectively delivering the world's first "OS-as-a-Service". Patches are delivered as a continuous stream of transparent updates, in a way similar to that of web-based services such as Google Apps. What's more, CoreOS states that its Linux distribution uses 40% less system memory compared to a typical Linux server installations. 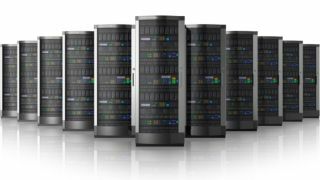 This allows companies to delay any capital expenditure for servers and removes the need for major migrations as well as cutting down maintenance costs. As for other Linux distributions, what you're essentially paying for is support with prices starting from $100 (about £60, AU$110) per month for 10 servers, scaling all the way to $125,000 (about £75,000, AU$140,000) per month for 100,000 servers. A premium managed Linux support is also available with enhanced support over phone, email and chat.